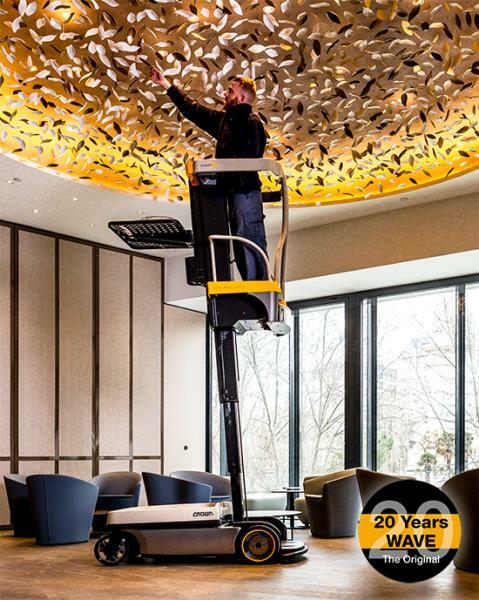 Twenty years ago, Crown launched a revolutionary multipurpose vehicle that has swiftly replaced ladders in all kinds of applications. Often copied, but never equalled, the Work Assist Vehicle (WAV), better known as the Wave, is still regarded as “The Original”. First developed for picking and transporting small items, the flexible all-rounder is now used for an increasingly wide variety of tasks. The latest generation – the order picker WAV 60 – is as practical and versatile as its predecessors, yet easier to use and more powerful.